Small furry animals are cute in cartoons and in zoos, but they pose serious hazards to homes and homeowners. Living on the East End of Long Island means that there is an abundance of wildlife and many of them invade residential and commercial properties throughout the year, particularly during the winter. If you have a wildlife infestation problem, then Twin Forks Pest Control can help you get rid of them. Why Should I Call a Wildlife Exterminator? Small animals such as squirrels, mice, and raccoons can cause extensive and costly damage to your home or business. Rodents and squirrels chew through wires, creating electrical hazards. Birds and squirrels build nests to raise their young, creating a perpetual issue, and destroying your home’s roof and soffits. Small animals find openings in old vents and screens to invade your home and will rip those openings even wider, making your home susceptible to water damage. Damages to your home aren’t the only concern. 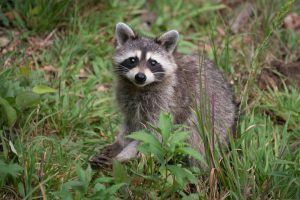 Raccoons, opossums, and deer can spread leptospirosis via urine and feces, which when left untreated, can cause irreversible liver failure, kidney failure, meningitis, or even death in humans. Leptospirosis is deadly to dogs and even when treated, can result in permanent kidney or liver damage. Desiccated deer mouse droppings can spread the hantavirus which has claimed at least one local life in recent years. Humans are susceptible to hantavirus because the mouse droppings can mix in with common dust and be unknowingly inhaled. Raccoons, according to the Humane Society of the United States, are “prime carriers” of the rabies virus. Rabies, which affects the central nervous system and causes swelling in the brain and spinal cord, can be treated effectively but only if treatment is begun before they become symptomatic. Live animals aren’t the only carriers of disease. Dead animals can also carry dangerous diseases such as roundworm from raccoon feces, rabies from raccoons, and tularemia from rabbits and rodents. The professional experts from Twin Forks Pest Control will safely remove dead animal remains from your property. Building inspections for termites, rodents, and insects. Protect your family and your home or business by getting rid of these pests. 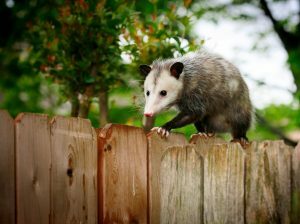 Our wildlife removal experts can humanely trap and remove whatever animals are invading your home. Our work is guaranteed so you don’t have to worry. Whether you live in Hampton Bays or Mattituck, give Twin Forks Pest Control a call today at 631-287-9020 to schedule your free estimate.